My girls adore this tradition and it’s even more special because their Grandma showed us how she remembered doing it as a little girl. 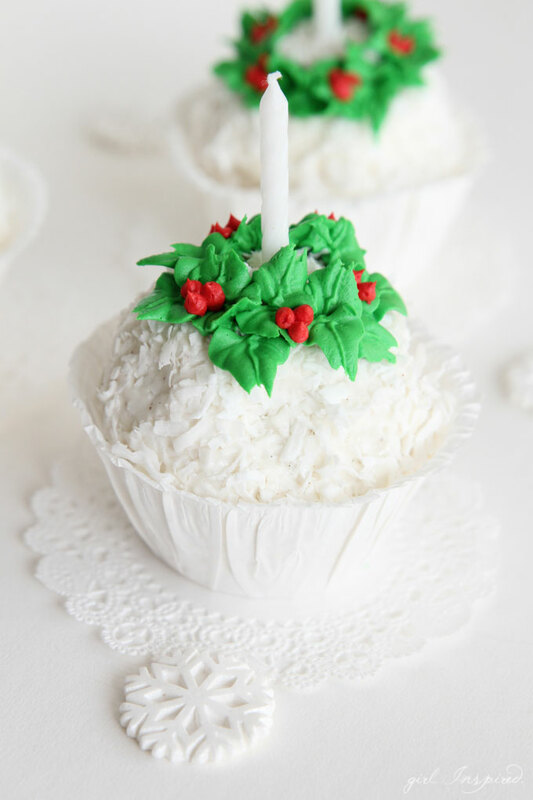 We make a big round scoop of ice cream and toss it in coconut to make a snowball, then put a candle in the top. 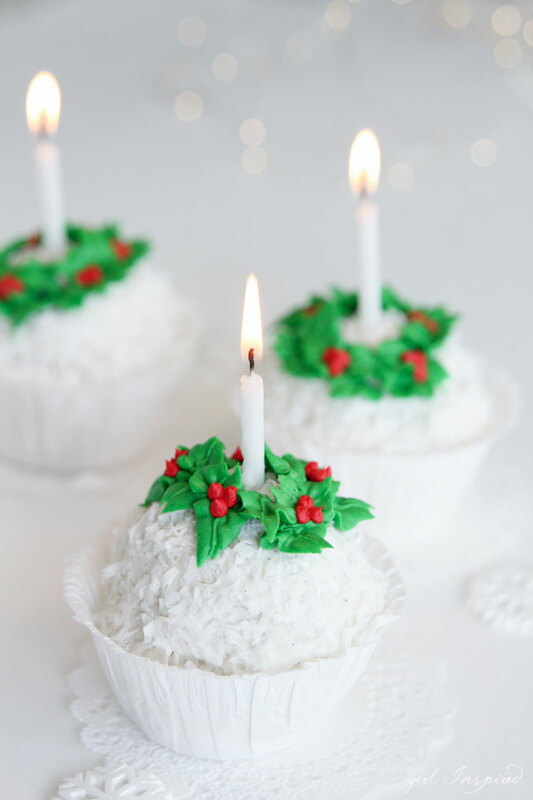 My mom’s version had little plastic holly leaves, so we piped some on our snowballs and they turned out so pretty! These are super easy to make and really don’t take much time at all! Begin by forming your big scoops of ice cream. I used a rounded ice cream scooper and ran it under hot water; then blotted it on a paper towel before scooping into the ice cream bucket. Quickly place the scoop back into the freezer by setting them into extra cupcake cups, a muffin tin, or on waxed paper. I got the best results by then taking the re-frozen ball of ice cream and rolling it into a ball with my hands, rolling it through a pile of unsweetened coconut (which comes in smaller, “fluffier” pieces than the long strands of sweetened coconut) and then quickly placing it into a Wilton ruffled baking cup. Place them back into the freezer to harden. 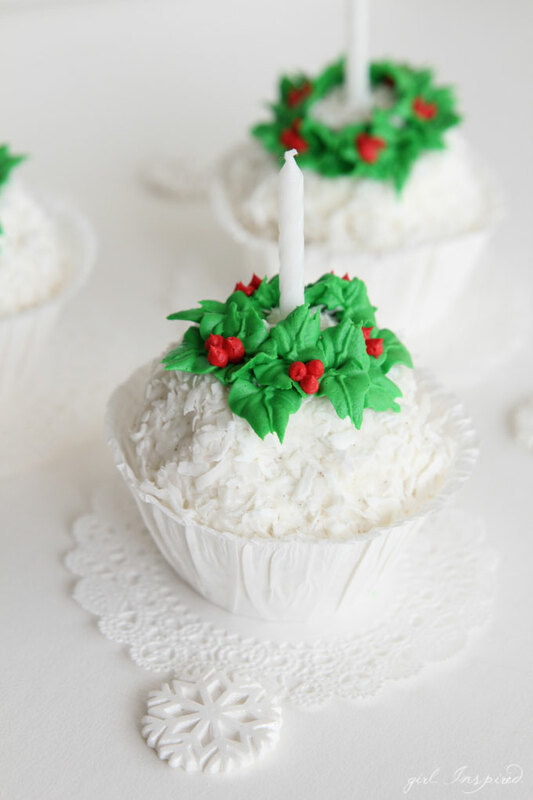 If you’d like to add a holly wreath to your snowball, it’s easy enough for anyone to do! Color about 1/2 cup of white decorator icing red and color another 1/2 cup of icing leaf green. If you’re only doing a few snowballs (e.g., I just make them for our immediate family), you can just color a couple spoonfuls of icing. Place the red icing in a piping bag fitted with a coupler and a small round tip, like Tip #2 or #3 and the green icing in a bag fitted with a leaf tip, like Tip #67. 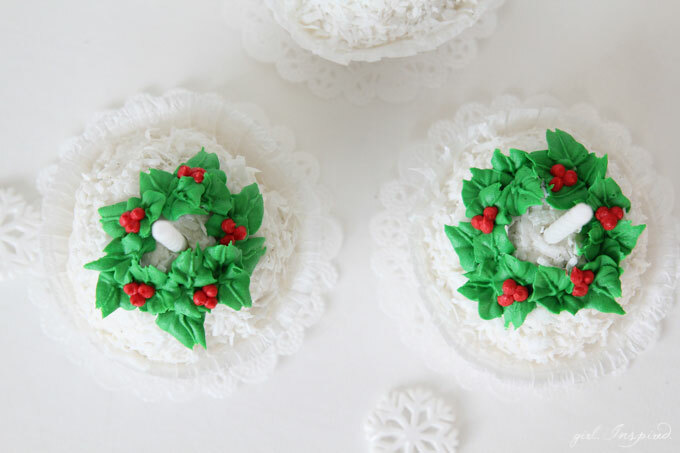 Remove the hardened “snowball” from the freezer and pipe a ring of leaves in a wreath pattern around the top. You may want to use a circular object like a cookie cutter or a clean cap to make a slight circular indentation in the ice cream to follow. The leaves should be fairly small and facing in different directions to give the holly wreath some texture. 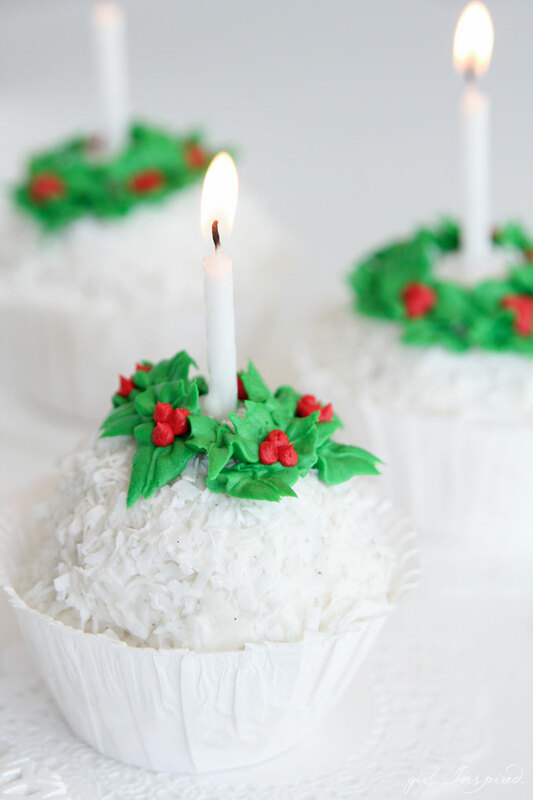 Finish the wreath by piping several clusters of three small red “berries.” Place a candle in the center of the wreath and return to freezer until you’re ready to sing Happy Birthday! Do you sing Happy Birthday baby Jesus on Christmas Eve? 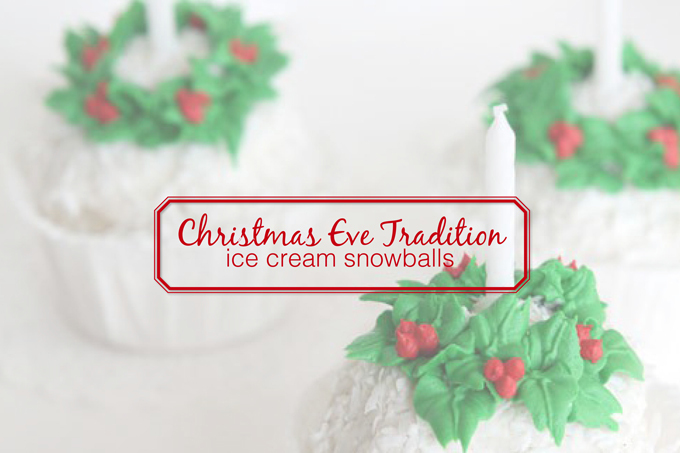 What Christmas Eve traditions do you celebrate in your family? I hope your Christmas is truly merry and bright! See you in the new year!